be used due to magnetic domains etc. FATHERS - The Companies producing the magnets. MONEY - Refers to current (AND CURRENCY) of the male magnet. with the coiled MAN bar having signigicantly stronger voltage with enough currency. bought. They are then ruined and cannot be used. like economics: more money comes to money, more debt goes to debt. This video may already be known but I publish it for those who have not seen it. 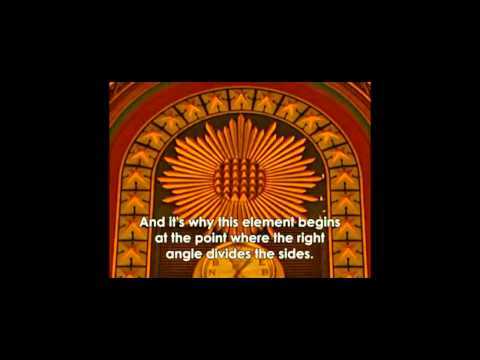 The Gematria or Numerology is part of the MQuabbalah, or Calculation methods of Astrologers, before it was given over to computers etc. Although given this air of deep mysticism spirituality etc it nevertheless has a pragmatic purpose : to determine invariant or almost self similar ratios in what dynamics we observe. These ratios have proved useful in constructing static or dynamic systems or models. The ratios tell us how and when, but not necessarily what , where or who! Our minds and senses must be used to observe and gain knowledge and expertises to apply how and when. Why? That is the mystery nd myth writers question . Any answer will do providing it ties the other 5 together in an engaging story. But such stories can illuminate or obscure , they can encode or decode.